THESE ARE ALL SCAMS. 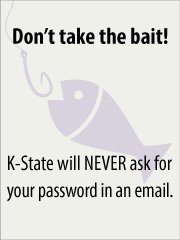 K-State Information Technology Services staff will NEVER ask for your password in an email. Do not reply to these scam emails, or click a link in email and fill out a form with your eID and password. Over the holiday break, K-Staters who want a jumpstart on learning Office 365 email and calendaring should check out these top resources created by Information Technology Services. 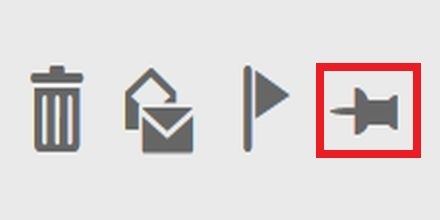 Prior to the migration Jan. 6, 2014, do the steps in the Office 365 pre-migration checklist. Discuss Office 365 socially with other K-Staters. Join K-State’s Office 365 Migration group on Yammer. It’s a social venue (similar to Facebook) specifically for those with @ksu.edu addresses. Create an @ksu.edu account first. See K-State’s Getting Started with Yammer resource. Bookmark and visit K-State’s Office 365 website at k-state.edu/its/office365. Are you ready for the transition to Office 365? Information Technology Services will conduct Office 365 trivia during the two Zoom Q&A sessions this week. Wednesday, Dec. 18, noon-2 p.m.
Thursday, Dec. 19, 3-5 p.m.